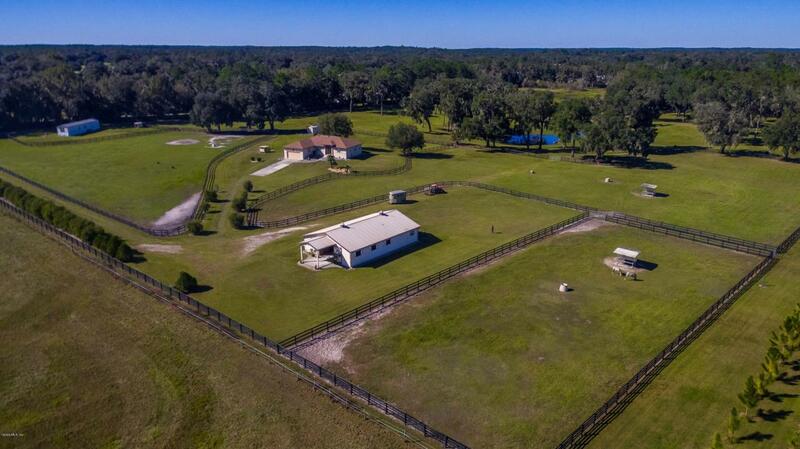 Gentle Breeze Farm is a Turnkey 20+ acre farm located in NW Ocala convenient to Ocala and Gainesville. This Farm sits back off the road and offers serenity and privacy, the pastures are dotted with Grand Daddy oak tress providing wonderful breeze and cooling shade for your horses and livestock. the farm has a show style 5 stall center isle barn, all new fencing, waters and room for arenas and jump fields. The custom built main home is open and bright and sits up on the hill with fabulous views. there is also a newer 2/2 guest home, a work shed with a full RV hook up, sewer and wash dryer hook up. Meticulously maintained, enjoy live in beautiful NW Ocala.